â–¼ The rules are simple! â€œmake the blue and red balls bumpâ€. 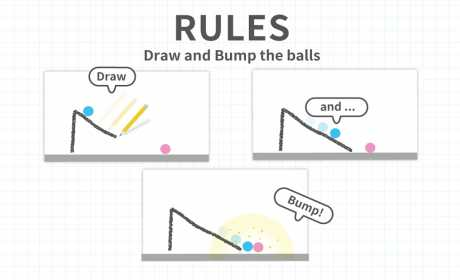 Draw lines and shapes freely to move and roll the balls. Flexible thinking is going to become the key to victory. Starting off with a simple pencil, moving onto color pencils, crayons and so on. We have prepared more than 25 varieties of pens of different colors and sizes. 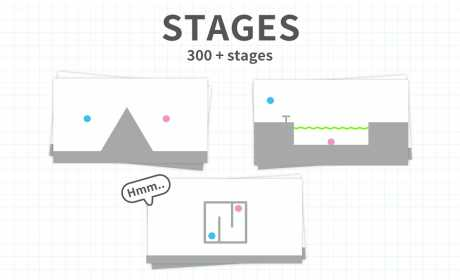 Collect various pens and walk through the stages. You can review the moment you cleared a stage on video or picture. Share it on SNS to show off your superior skills to your friends. Not to mention that watching your friendsâ€™ gameplay might also become a hint!? This game, continuing after Brain Wars, also tests your logical thinking and the flexibility of your mind. 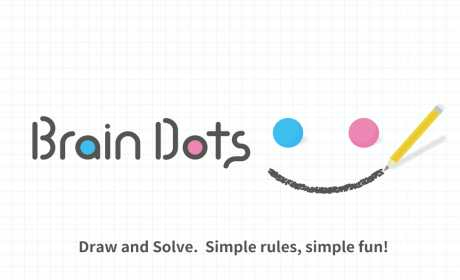 As this game includes the elements of riddle and â€œEscape the Roomâ€ type of games, we would recommend Brain Dots to people who enjoy brain-type puzzles, cards and strategy games. It might also have an impact on your childrenâ€™s intellectual growth and preventing brain deterioration? 15 languages! Brain Dots is played all over the world!